Written and read as a part of the memorial service for Walter Havighurst; February 19, 1994. 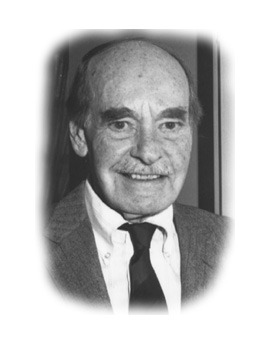 Member of a distinguished academic family, Walter Havighurst was born on November 28, 1901, the son of Freeman Alfred Havighurst, a member of the faculty of Lawrence College, and Winifred Weter Havighurst, who was also a faculty member until her marriage. An older brother, Robert, became a famed educator at the University of Chicago; brother, James, became a prominent attorney in Cleveland; younger brother, Alfred became a well-known historian at Amherst College; and sister, Miriam Johnson, a retired librarian, lives in Batavia, Illinois. Growing up in college towns in Wisconsin and Illinois, Walter Havighurst was much influenced by his older brother Robert, who preceded him in enrollment as a student at Ohio Wesleyan and then in faculty appointment at Miami. Robert was serving as professor of Chemistry at Miami when Walter visited the campus for the first time. The next year, when Robert went to the University of Chicago, Walter was appointed instructor in English and a resident advisor at old Fisher Hall in 1928. Before coming to Miami, Walter had completed his Bachelor of Arts degree at the University of Denver in 1924, a Bachelor's degree in Sacred Theology at Boston University in 1928, and a Master's degree from Columbia University in 1928. Along the way, he also studied at Kings College, London. 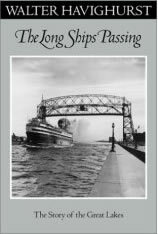 Searching for challenge and meaning in his life, Walter Havighurst tried his hand at a number of vocational and avocational pursuits: he had served as a deck-hand aboard Great Lakes steamers, and then on ﻿ships in the merchant marines in the Pacific and around the world; he had also pastored a New York City inner-city Methodist Church. But it was on the Miami campus that he found his niche in life. One who helped him find it was Marion Boyd, an instructor in English at both Miami and Western College, with whom he shared a departmental office, and then, after their marriage in 1930, his life. Another was Joseph M. Bachelor, an honor graduate of Miami and Harvard, who returned to Miami as a member of the English faculty and an authority on vocabulary after editing the New Century Dictionary. It was Marion, an accomplished author in her own right, who encouraged Walter to realize his potential as novelist and regional historian. It was Joe Bachelor who invited Walter to become his assistant in 1928, and who also helped persuade the young instructor to try his hand at writing. Through the years, Walter gained a mastery of the English language equaled by few. He possessed a rare talent for using words, finding through their combinations melody, harmony, and tone. L. Scott Bailey, a 1948 Miami graduate, once said of Walter that "he could set my soul humming with the music of words." The music of words. Think about it. Then think of beautiful prose composed by Walter Havighurst during the half-century that he lived and worked and wrote in the home in Shadowy Hills that he and Marion shared at the edge of Miami's formal gardens. Almost all of Walter's writing centered on the land between the Great Lakes and the Ohio River--he called it the heartland of the nation. Whether fiction or fact, his works always had historical setting. In explaining his early and abiding fascination with History, Walter once reminisced: ". . . I began to find in myself a dual curiosity, wanting to recall the Midwest of early times while trying to understand its present. Now every scene is two scenes, the land as it was and as it is; the wild free earth of the Indians . . . and the tamed, possessed, toiling, striving, hugely productive American Midwest. Let us recall for just a few moments the titles of some of the other nearly forty volumes written by this truly great, though modest, man of letters. Note the recurring themes of the Great Lakes, the rivers, the Midwest, and most particularly, his adopted Ohio, the state "shaped like a wind-rippled flag," in Walter's words. His first book Pier 17 was the Book-of-the-Month Club selection and it was nominated for the Pulitzer Prize; Land of Promise received the Friends of American Writers Award as the best book of that year published by a Midwesterner. In 1951, he received the Ohioana Society's literary award, followed in 1967 by an Award of Merit from the American Association for State and Local History. In 1969, he was honored by the Ohio Board of Regents when he was named Miami's first Regents Professor. 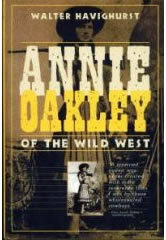 In 1971, he was presented the American History Award by the Society of Midland Authors. His fraternity, Phi Delta Theta, in 1984, honored him with its highest award, the Legion of Honor. Additionally, he received acclaim for his many short stories and other writings which appeared in national, state, and regional magazines. Four colleges and universities, Lawrence, Ohio Wesleyan, Marietta, and Miami, awarded him honorary degrees. Robert, and their families. He especially spent much of the time with Ruth and Sam Neff and their children in Richmond Indiana, not far from his friends and home in Oxford. That he and Marion never had children was a source of regret, but in a very real sense, generations of Miami students were his children. They, and all of us, will never forget him. The books he wrote and the scholarships he endowed, as well as Havighurst Hall and the trove of Miami memorabilia and literary treasure in the Havighurst Special Collections Library constitute enduring legacies that will continue to enrich the lives of Miami students and many others far into the future. Writing of the University he loved, Walter Havighurst concluded the second (or 1969) edition of his Miami Years with these words: "Miami has a certain permanence. It still shapes and characterizes its community; it is still a little removed from the swift currents of time. Though most of its buildings are modern, some old landmarks stand, and the names of Bishop, Scott, McBride, McGuffey, Elliott, Stoddard, Hepburn and McFarland are still at home on the wide-spreading campus. Much of the old forest is gone, but green space remains, and every spring the redbud blooms among white sycamore trunks along the Talawanda." As we remember this remarkable man who lived for so long among us and who set our souls humming with the music of his words, it seems only right that he be included with the Bishops, the Scotts, the McGuffeys, and those other great men and women of Miami history whose names will always be at home on this wide-spreading campus. Yes, spring will soon be on hand, the earth will warm anew, and the redbud will bloom again among the white sycamore trunks along the Talawanda. And when they do, Walter, we'll think of you.